Not a caption but it's an unintentional but realistic advertisement for the food value of "artisan" sandwiches (or artisan anything, come to that). Obree minimised his frontal area during his final attempt at the hour record. The new leader of the UKIPs, perhaps surprisingly, turned out to be a cyclist. Is this, in fact, the remains of Peg-leg Johnson, who actually died of embarrassment at the start line when someone pointed out that his front wheel was facing backwards? 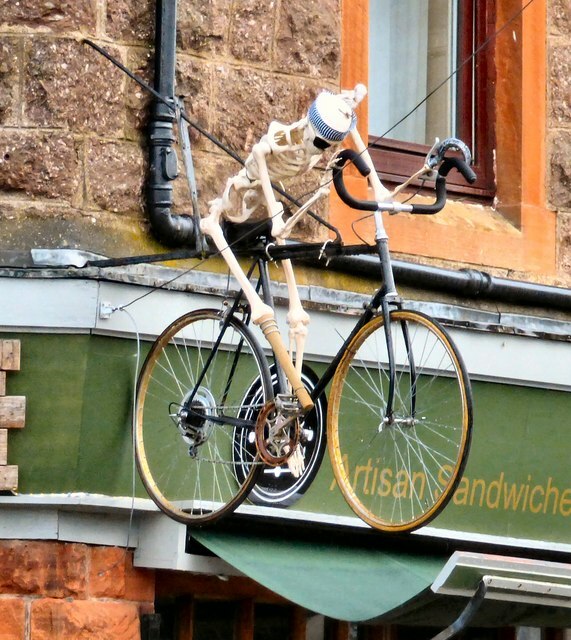 The experiment to eliminate cake from the cyclist's diet was not an overwhelming success. Robert Marchand finishing PBP in 2039. It's Michael Rasmussen, isn't it?